Perrin Performance PSP-EXT-362BR - Perrin Performance Scion FR-S Catback Exhaust System 3"; 2013-2016. 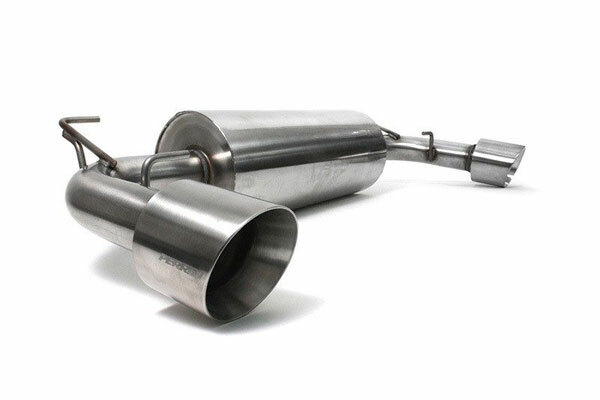 Increase power and exhaust flow with the PERRIN Catback Exhaust for FR-S & BRZ. Compatible with both manual and automatic transmissions. Two over-sized 4 slash cut exhaust tips add an aggressive look to this impressive system. PERRIN exhaust tips feature double wall construction and will not discolor with extreme heat. This PERRIN muffler has a true 2.5 inlet pipe that carries exhaust into a center chamber before being distributed to two 2.5 exhaust pipes which continue on to the tips. PERRIN Exhaust systems feature high tech v-band clamps for a perfect exhaust connection. V-band clamps are designed to hold hundreds of pounds of pressure and do so without the need for a gasket! This connection allows for a precise, repeatable joint with the ability to rotate each joining connection. This allows for easy installation and alignment adjustments for a perfect fit every time. PERRIN Exhaust systems are made entirely of 304 stainless steel, inside and out. 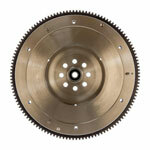 304SS provides high corrosion resistance and is excellent for extreme heat up to 1800 degrees. Other manufactures may use cheaper 409 stainless steel which will rust and corrode over time but the added expense of 304 stainless steel is well worth the beautiful appearance and long lasting durability. PERRIN Exhaust systems come in a stainless steel brushed finish. Brushed for optimal durability against the elements, this finish will look awesome for years to come. The ASMC, LTD. (dba ALTA and PERRIN Performance) warrants to that original retail purchaser (“Purchaser”) who holds title to the vehicle on which the parts are originally installed will, when delivered, substantially conform to the respective written Product description furnished to Purchaser. Products should be free from defects in material and workmanship (excludes cosmetics, coatings, and appearance and applies only to the function of the Product for its intended manner and purpose) within a sixty (60) month period from the date of purchased (purchased on or after October 1st 2010)( Cat-Back Exhaust Systems have a limited LIFETIME Warranty from the date of purchase after January, 1st 2010 ) and will perform in accordance with provided original operating instructions if properly installed, used and serviced on passenger cars. Should a product(s) become defective within such period, purchaser will submit a claim at their cost and return the defective Product to ASMC, LTD. with an accompanying Return Manufacturer Authorization number (RMA) and the sales receipt stating the defects and the circumstances under which the defect occurred in which case ASMC, LTD. will examine, and upon establishing Purchaser’s validity of claim, at its sole discretion repair the Product(s), exchange the Product(s), or refund the purchase price, which shall fully satisfy and discharge any and all warranty claims. Warranty related inquires should be addressed to the following address: ALTA and PERRIN Performance c/o Warranty Service 3111 NE Shute Rd. Suite #101 Hillsboro, Oregon 97124 and must have the RMA# on the outside of every box received. This warranty extends only to the Product(s) installed in such vehicle model as specified for the respective Product(s) and does not extend to any Product(s) (i) which has been used or operated inconsistent with its intended use, (ii) has not been properly installed by a qualified licensed auto mechanic experienced in the installation of the Product(s), (iii) installed in a vehicle that has been used for racing or off road use only (Product(s) specifically designated for “off-road“ use may be submitted for warranty claim. ASMC, LTD. holds sole discretion to warranty claims on those Product(s) not to exceed the sixty month limitation above.) , (iv) which was modified or repaired by anyone other than ASMC, LTD. personnel, (v) damaged because of misuse, neglect, accident or improper installation or service, (vi) Sold or used outside the United States of America. In addition, the warranty shall NOT apply to catalytic converters, electrical products, and all components not manufactured by ASMC, LTD. Manufacturers and user of motor vehicles incorporating ASMC, LTD. products should at all times take necessary precautions against damage to persons or property resulting from malfunction of the products. Many modifications (and combinations of modifications) are not recommended and may NOT be permitted in your country, state or other form of local government. Consult your owner's manual, instructions for each product and all laws before undertaking these modifications. The owner and user are solely responsible for the legality and safety of the vehicle you modify using these components! ALTA and PERRIN Performance are not responsible for any physical or financial damages as result of proper or improper installation, usage or ownership of this product. Use of suspension products will result in a change in the handling characteristics of your vehicle. As with ANY vehicle, extreme care must be taken to prevent loss of control or roll-over during all driving maneuvers. Always wear seat belts, and drive safely, recognizing that reduced speeds and specialized driving techniques may be required. Failure to drive this vehicle safely may result in serious injury or death! Once installed do NOT drive the vehicle unless you are familiar with its unique handling characteristic and confident in your ability to maintain control under all driving conditions. All engine and exhaust components (Including but not limited to the following: turbo systems, ECU Tuning, exhaust pipes, intake systems, supercharger pulleys, intercoolers etc.) have been designed and intended for off-road applications only. These components are legal in California for racing vehicles only, which may never be used on public roads or highways. Federal and many state laws prohibit the removal, modification or rendering inoperable of any device or element of design affecting vehicle emission or safety in a vehicle used on public highways. Violation of such laws may subject the owner or user to a fine or penalty. Check your local and federal laws prior to installation! Installation of performance products may void vehicle warranty coverage, if any, on your vehicle. Vehicles modified by the use of performance parts may no longer be lawfully used on public highways. Re-sellers, installers and end users assume all costs and risk associated with these items. ASMC LTD. is not responsible for any losses incurred from the use of any and all products sold. SPECIAL NOTES ABOUT EXHAUST RELATED PRODUCTS. We will not warranty any exhaust part that either fails or has warped flanges due to header wrap being installed. While header wrap protects the engine from heat as well as provides some performance benefits, it greatly reduces the life of any stainless steel part. Header wrap greatly increases the rate of corrosion, added to that the actual temperature of the metal is much hotter, reducing its lifespan even further. Operation of vehicle without installation of splash guard will void warranty. We will not warranty any flanges that are warped away from the weld if any aftermarket gaskets are used. Only OEM Subaru / Toyota gaskets are to be used on PERRIN Exhaust parts, with the exception of downpipes for turbo kits. Subaru / Toyota provides the proper crush gasket that still becomes flat when tightened (or over tightened) in comparison to aftermarket gaskets which can have a crush ring that is too thick, causing a hot-spot in the middle of the flange. These will warp the flanges of your PERRIN exhaust, causing a permanent exhaust leak that will not be fixable with a new gasket. History and information about Perrin Performance and their products. PERRIN Performance manufactures and supplies the finest Subaru products on the market today. PERRIN&apos;s full line of products hits every aspect of performance modification for your Subaru. From suspension to engine performance, PERRIN makes the products which will boost your performance to the next level. Our customer service, sales, and technical staff is always available to help you with questions or concerns. We pride ourselves on the unique levels of customer service we provide that are simply not found elsewhere in the aftermarket industry today. Below are other popular parts other customers have purchased for their Scion FR-S.
Perrin Performance Scion FR-S Catback Exhaust System 3"